EPICA AWARDS 2015 OPEN FOR ENTRIES! Epica Awards - the only global creative awards judged by the specialist press - is now open for entries. The official deadline is September 30, with an "early bird" discount of 100 EUR before August 26th. This year, Epica has introduced 7 new categories, becoming the first global creative awards to introduce a Virtual Reality category that recognizes the work that agencies are doing with the Oculus Rift and similar devices. Other new categories this year include Personal Electronics & Devices, Restaurants, Bars & Caf�s and Product Design. There is also a new Humour category. The large Public Interest category has been divided into Health & Safety and Social and Environment. The jury meeting will be held in Berlin (Germany) from November 16-18, followed by the Creative Circle conference and prize-giving ceremony on November 19. Judged by more than 50 senior editors and publishers from the marketing and creative press, Epica guarantees an objective approach and extensive media coverage. All entrants receive a copy of the annual Epica Book, a 400-page bible of creativity. Epica is taken into account by prestigious global rankings. Founded in 1987, Epica is the point where the creative industries (advertising, design, media, PR and digital) meet the world's marketing and communication press. In the crowded awards sector, it has a different angle on creativity. EPICA AWARDS HAS IMPORTANT NEWS! The only global creative prize awarded by the advertising press will be held in Berlin this year, with new categories and jurors. The Epica Awards announced last week that its next jury meeting, creative conference and prize-giving ceremony will be held in Berlin in November 16-19. In addition, Epica announced that it would become the first global creative awards to introduce a Virtual Reality category, recognizing the work that agencies are doing with the Oculus Rift and similar devices. Other new categories this year include Personal Electronics & Devices; Restaurants, Bars & Cafés; and Product Design. There is also a new Humour category. Epica is the only global creative prize judged by an independent jury of journalists working for marketing and communications titles. More than 40 magazines and websites on the jury will be joined this year by magazines from South America, Indonesia, Bosnia and Herzegovina and Belgium. 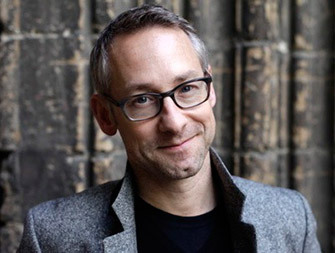 "These new partners and categories continue the evolution that began in 2012 when the awards went global for the first time," said Epica editorial director Mark Tungate. "As you can see, we're growing stronger in Latin America. We've always been proud of the fact that we enable the media to celebrate advertising – the fuel of the free press. But the advertising industry has branched out into many different areas of creativity. This is reflected in our new categories and our choice of Berlin, one of the world's most creative cities." The Epica Awards 2015 will open for entries in early July. The unique award show, with the jury constituted of advertising and communication press, took place on November 20th in Amsterdam, after a 3-day jury session. Grand Prix in FILM category was awarded to "The Boy Who Beeps" by BBDO New York (USA) for General Electrics. 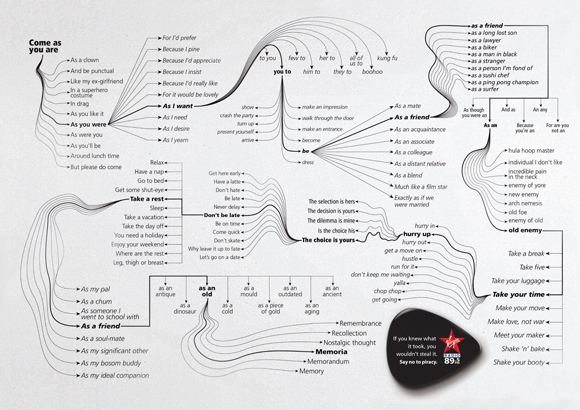 PRESS Grand Prix was given to "Making Music" series by Leo Burnett Beirut (Lebanon) for Virgin Radio, which was also a winner in the newly introduced Copywriting & Storytelling category. 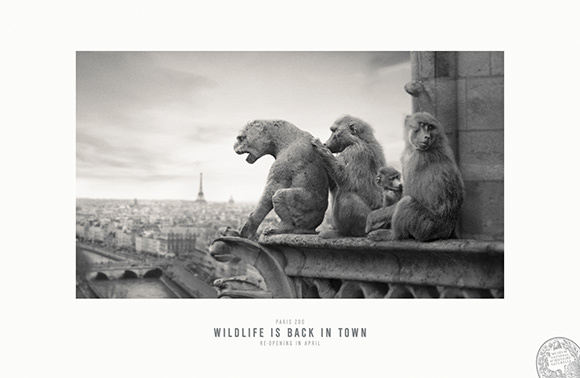 OUTDOOR Grand Prix was awarded to Publicis Conseil (France) for "Paris Zoo" series created for Museum National d’Histoire Naturelle. In DIGITAL category, the jury has decided, for the first time, to give away two Grand Prix awards, honoring completely different approaches to using digital media. 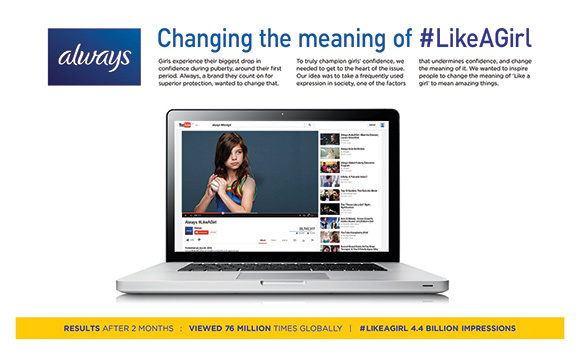 The first Digital Grand Prix was awarded to integrated digital-driven campaign "Always Like A Girl" by Leo Burnett Toronto (Canada) for Procter & Gamble. 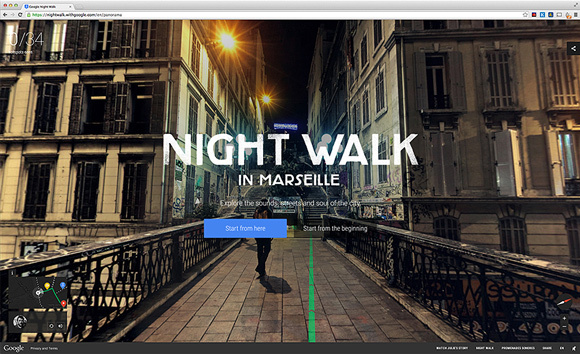 The second Digital Grand Prix went to an immersive, interactive digital experience of the "Night Walk in Marseille" by 72andSunny (Netherlands) for Google. 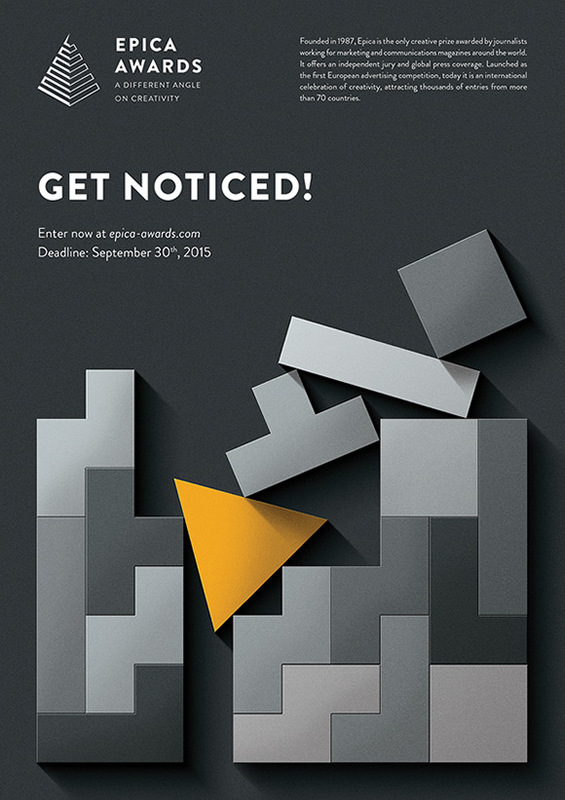 GrandPrix Advertising Strategies, the only award show that celebrates innovative strategic thinking behind creative campaigns, is open for entries for the 28th time. Already established as the most prestigious industry award in Italy, the Grand Prix Advertising Strategies is now inviting international entries too. Furthermore, all international agencies can enter the first entry for free. Entry deadline: February 27th, 2015, and the Grand Gala Finale will be held in Milan on May 25th. International GrandPrix Advertising Strategies award is part of TVN Media Group. The only creative prize awarded by the press unveils a new logo! The Epica Awards introduced visual identity as a part of an extensive rebranding of the competition, founded in 1987. It follows the acquisition of Epica by Maydream - owner of the AdForum archive - two years ago. The logo emphasises Epica's new brand positioning: "A different angle on creativity." The re-designed website is due to go live in August. "Epica is changing," said Maydream CEO Philippe Paget. "The awards have been respected for many years, but it was time to shake them up a little. This new brand identity reflects our unique positioning more accurately. We also wanted to remind people that this is the only prize that allows journalists to celebrate advertising - the fuel of the free press." The changes include the launch of five new categories: Copywriting & Storytelling; Experiential & Shopper Marketing; Best Use of Music; Title & Credit Sequences - and a one-off World Cup category. Copyright (C) 2009 New Moment Magazine. All rights reserved.